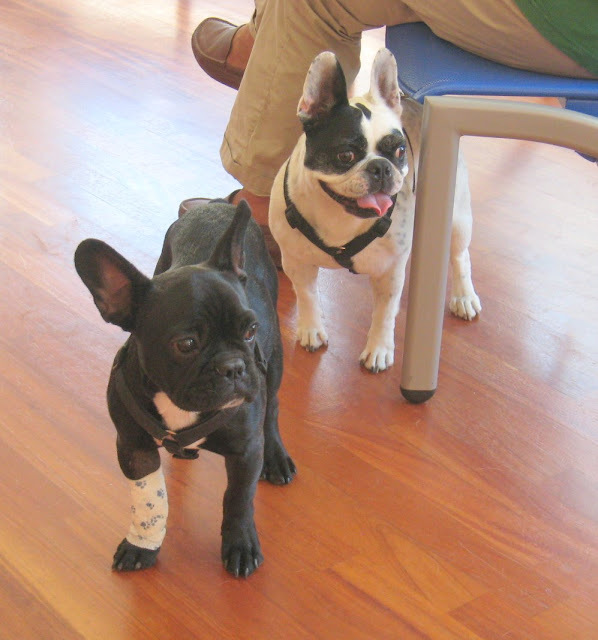 These two adorable French bulldogs were waiting to see the vet. Don't you love that they are looking in exactly the same direction and with the same expression in their eyes? This made me laugh out loud. Adorable. You take great photos....very nice! !